I came to MyoTech last January after thirteen years in restaurant management. Dr. Brian Prudent’s wife and I have been best friends since childhood. 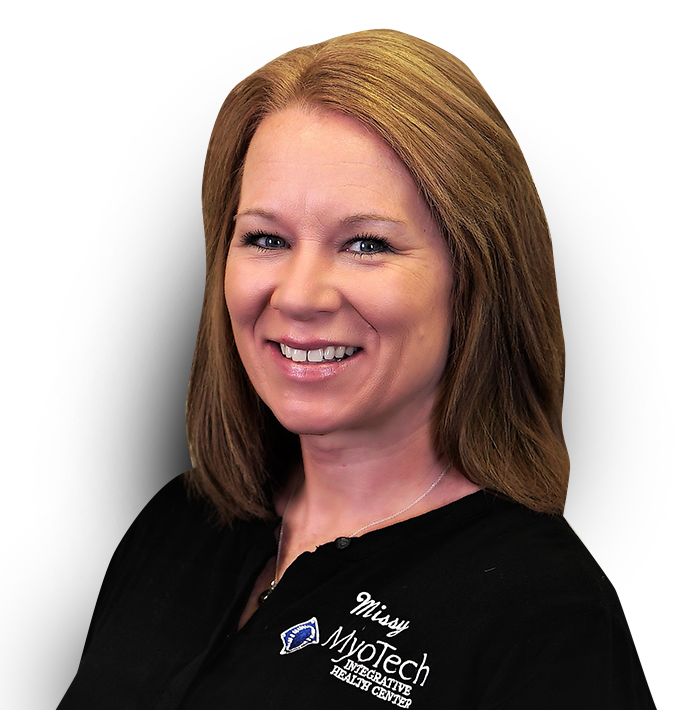 I am very invested in the future of MyoTech and ensuring each patient has the best possible dental experience. I was so impressed by the constant drive to learn and continue growing of the doctors and all of the employees here. When not at work I spend countless hours watching my daughter cheer on the Galesburg Silver Streaks in addition to all of her activities. I love fall, football season, family, God, and being a mother to the two most amazing people I know! Green Bay Packers! ! ! and The Chicago Cubs! I have the sweetest, laziest, most compassionate Beagle, Oakley. My extremely busy and involved daughter will be a Junior at Galesburg High School. My son Alec works for Burlington Northern railroad and lives on a lake near Galesburg. I love the river, camping, boating, fishing, walking or just sitting by the fire with my parents and kids have created the best memories for all of us. I love music, I am always excited to try a new project, working with woods, vinyl, or painting. I spend most of my time with my family. Galesburg High School, Carl Sandburg College, Specified Tech Program.